Denmark Slashes Wind Power Subsidies to Curb Runaway Power Costs | Wind energy, not cheap, not free, not green, not a farm or a park, not reliable, not dispatchable, not an answer, ..call it what it is..A SCAM! Now, in the wind industry’s heartland, the Danes too have rumbled the fact that the wind really isn’t ‘free’, as the wind cult claims. Oh no. Worshipping the Wind Gods comes at a staggering cost, as Danish households and businesses have fast come to realise. As with everywhere else, power prices matter to consumers in the same way votes matter to politicians. 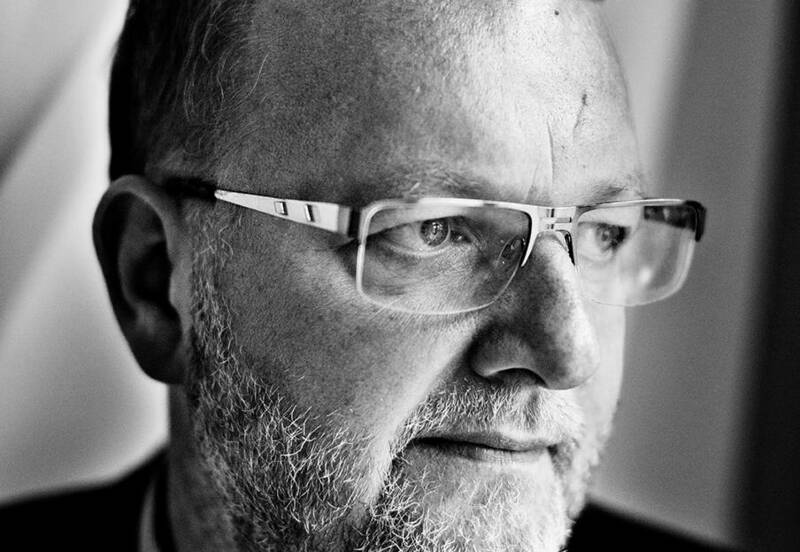 The mounting anger of the former has forced a panicked retreat by the latter: Denmark’s Climate and Energy Lars Christian Lilleholt has just slashed support for offshore wind projects in an effort to cut billions of Danish kroner from the cost to power consumers of being forced to perpetually subsidise wind power. After more than 40 years of promising to stand on its own 2 feet, the Danish wind industry is still (surprise, surprise) wholly dependent on massive subsidies to survive. Denmark’s leading Daily, Jyllands Posten, exasperated at the need for endless subsidies and “lies about the economic competitiveness of the renewables market”, is demanding an end to the electricity tax that retail customers pay to fund them (referred to as the Public Service Obligation – ‘PSO’). Adding to the Dane’s lament about crippling power bills is the fact that they are surrounded by thousands of these things, which drive their neighbours to despair – just like everywhere else – with, as the Editor of the Jyllands Posten calls it, their “destructive, low-frequency noise”. Thousands of angry wind farm neighbours and runaway power bills make for a politically toxic cocktail, as these reports lay bare. WIND: The Danish Minister of Climate and Energy Lars Christian Lilleholt is talking about creating peace on the energy agreement from 2012, but he also talks about saving 5 billion Danish kroner (AUD$1,011,071,375) in green tax by dropping wind farm projects already agreed upon. While the savings announcement delighted the Energy Minister the wind industry is seeing red. Climate and Energy Minister Lars Christian Lilleholt has set tempers boiling in the wind industry to such an extent that their dissatisfaction with the Liberal energy policy is absolute. “The Minister’s actions in this case are unprecedented,” said a furious Jan Hylleberg, CEO in the Danish Wind Turbine Association. The Minister’s decision is a response to complaints from businesses and private households that the bill for Denmark’s ‘green’ conversion has simply been too great. Last year the Minister was faced with angry demands from companies and electricity customers after new figures emerged that showed the cost of green power taxes – the so-called Public Service Obligations (PSO) – would escalate to a record high of 8.4 billion. D-kr in 2015 ($AUD1,698,599,911). While the Minister’s announcement has the wind turbine industry seeing red, he now goes one step further and couples changes to the runaway PSO bill together with his barely concealed threats to scrap an agreement to build a total of 350 megawatts (MW) of coastal offshore wind farms by 2020. The agreement on the coastal offshore wind farms are part of the 2012 energy agreement – aimed at establishing 500MW coastal wind farms – which Venstre (Denmark’s Conservative Liberal Party) surprisingly put its signature to, despite the prospect of billions in green costs being added to electricity customers’ bills. Since then the plans for off-shore coastal wind farms have shrunk. It began in July 2014 when the then Social Democrat and Radicals government with votes from the “blue” (conservative) side. The left-wing parties in the parliament launched a “growth plan” to curb escalating green fees. The result of that Growth Agreement was that the coastal off-shore plan was reduced to 400MW, of which 50MW was earmarked for special “test turbines”. At one stroke the wind industry witnessed their plans for coastal wind farms slashed by 30%. Commentators point to that decision as at least one source of anger among the Danish Wind Turbine Industry. The events surrounding Growth Agreement has made it clear to the wind turbine industry, that today’s threats may well be tomorrow’s realities; in a volatile political landscape where ‘agreements’ with government are not bullet proof. The future looks grim for the Danish Wind Turbine Industry, as the Climate and Energy Minister heads for an energy policy riding on a promise of ‘green realism”. And in that respect Lars Christian Lilleholt smells wind industry blood. By dropping the coastal offshore wind farms the Minister will rescue companies and residential electricity customers from green taxes worth close to 5 billion Dkr. from 2019 – 2031, according to calculations from the Danish Energy Authority (DEA). So far, the ball is very much in the Climate and Energy Minister’s court. Even though, less than two years ago, Social Democrats and Radicals (a center-right party) were frontrunners in the fight against the cost to consumers of the growing PSO bill, they are now calling the Minister’s attack on the growth of coastal off shore wind farms ‘very frustrating’. Therefore, the 10,000-kroner question is, whether the Minister has the courage to terminate the 2012 energy agreement, in order to limit the cost businesses and private power customers have to pay to 38.8 billion Dkr. for the period 2016-2020. The Liberal think tank Cepos, says it is urgent for the government to implement its promised “Green Realism” in energy policy. A look at the Liberal Party’s previous course relative to the controversial energy agreement reveals however, that the climate and Energy Minister hardly dares to take the first step, says messages from several sides. One reason is that LA, K, DF and Liberal party in February 2014 demanded the then SR-Government to renegotiate the energy agreement, because there was a need to ‘an adjustment of Danish climate and energy’. The renegotiation never came, but without The Conservatives, Danish People’s Party or the Liberal Party demands to terminate the energy agreement. Since the Liberal Party took office last summer many held an expectation that there had to be a showdown about Denmark’s green energy course. That expectation was fuelled by their promises on ‘green realism’. Initially, the Liberal Party refused to touch the 2012 energy agreement because the Social Democrat/Radical Growth Agreement in 2014 had apparently satisfied the demands of businesses that the cost of the PSO would fall. “It is therefore a misconception if you think I, as new Minister want to throw myself into a battle immediately to break the energy agreement, with a broad parliamentary majority behind it, which ensures clarity and stability for Danish energy policy until 2020,” stated Lars Christian Lilleholt in July last year in a letter to the editor in Jyllands-Posten. Despite the Growth Agreement’s promise of substantial PSO discounts to businesses, the cost of ‘green’ power taxes increased 63 per cent in 2015 and 2016. At the same time, the “clarity and stability” around wind power agreements and planned projects is questionable, says Denmark’s Wind turbine industry. Only a few weeks ago, wind industry figures and potential wind investors choked on their morning coffee, when Lars Christian Lilleholt unexpectedly postponed provision for a coastal wind farm at Sejerøbugt to September. Following that shock announcement, the Minister, said that cutting support for coastal offshore wind turbines in Denmark is “a golden opportunity to cut the green cost to power consumers”. The PSO charge – popularly known the ‘green’ electricity tax – is the payment, collected via the electricity price to various forms of support renewable energy such as wind turbines, photovoltaics and use of biofuels. The PSO system came into force in 2001. The annual cost to power consumers of the PSO is partly the product of changes in market electricity prices and the weather, which result in large fluctuations in the annual PSO bill. Over recent years, increasing amounts of wind power being added to the grid has added substantially to the PSO bill. Everyone pays the PSO levy, both large and small enterprises and private households. The tax is collected directly through their electricity bills via the electricity price as an amount per kilowatt-hour (kWh). It was a united Parliament which March 2012 voted for what the then Climate and Energy Minister Martin Lidegaard (R) called a historic agreement. Only the Liberal Alliance opposed the energy agreement. The agreement was meant to say goodbye to the use of coal, gas and oil in 2050. The first step was a massive expansion of wind energy up to 2020, and by 2035, all electricity and heat is supposed to come from ‘green’ energy sources such as solar, wind and biofuels. The agreement included the construction of two offshore wind farms, Horns Rev 3 and Kriegers Flak, with a notional capacity of 1,000MW. At the same time, the aim was to build 500MW coastal off shore wind farms, which in July 2014 was cut to 350MW and 50MW of ‘test’ wind turbines. The energy agreement was meant to operate from 2012 to 2020. Lars Christian Lilleholt demands an end to the wind industry’s ‘free’ lunch. The Jyllands Posten’s Editor weighed in with this demand for an end to wind power subsidies. Ever since the first small wind turbines began supplying electricity to the grid in Denmark, the Danes again and again were told that the industry for only a few years needed financial support — then wind turbines with the usual depreciation rules would be able to compete in equal footing with other electricity-generating energy. It is now four decades ago that the so-called “wind turbine adventure” began and Danish consumers pay today more than ever in direct and indirect financial support to wind turbines. 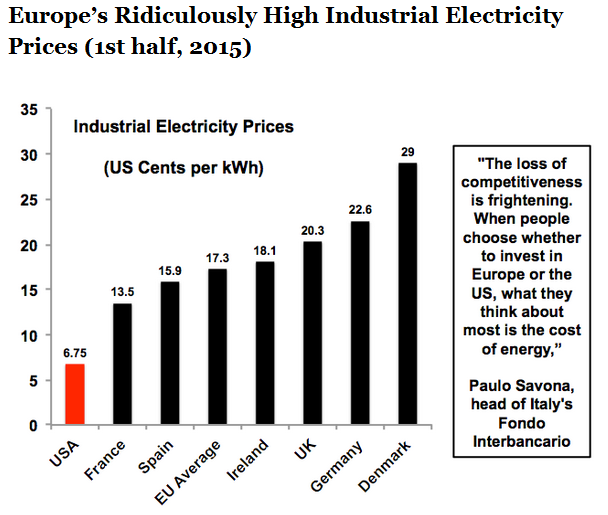 Not only that: according to Eurostat, Danish consumers pay (by) far the highest electricity prices in Europe: 2.28 krone (45c) per kilowatt hour compared with an EU average of 1.55 krone. This reality saw the Minister for Climate and Energy, Lars Christian Lilleholt, note that the bill for the so-called “green transition” is rampant. This applies to the aid which will be needed for … proposed and strongly disputed coastal wind turbines. The government believes it may become necessary to establish more onshore wind turbines, which does not reduce the problem, due especially to the destructive, low-frequency noise. New calculations show that public subsidies paid by electricity consumers via the so-called Public Service Order tax will skyrocket if you follow plans to establish a large number of up to 200m high wind turbines in coastal areas. Today, Danish consumers pay 25 ore/kWh (about 10c) in the PSO levy or a third more than the spot price of 1 kWh of electricity. In the period from 2012 to 2020, Danish consumers are at risk of having to pay 65 billion krone in the PSO levy, according to a memo from the Climate and Energy Ministry, and the responsible minister quite wisely finds this unacceptable. Since the announcement, there has been no shortage of criticism coupled with lies about the economic competitiveness of the renewables market. Socialist People’s Party (chairwoman) Pia Olsen Dyhr accused the minister of being on a “substandard errand”, while Social Democratic Party climate spokesman Jens Joel says he does not understand what the minister is doing. Wind Industry CEO Jan Hylleberg said “the minister’s actions in this case are unprecedented”, and believes it will send shock waves through the energy sector if a majority in parliament either cut or choose to abandon offshore coastal wind turbines. It may be argued that it is at an advanced stage in the process that the government is pulling the emergency brake — but it would be liberating if, for just once, the Danish electricity consumers and people living near wind turbines were listened to, rather than only the Danish wind industry and its acolytes. The “green transition” has ended up fuelled by billions in enduring funding. Parliament should remove the state electricity tax. It is certain that it is not possible to lie to the people forever that wind turbines can compete on equal footing with other forms of energy when the reality is that wind power for eternity will require billions in direct and indirect support.